The club has taken delivery of 6 new SailQube Optimist dinghies ready for Junior training this Easter. The SailQube is one of the newest and fastest Optimist dingies. Designed by Jo Richards, it is robust and the ideal boat for learning the first steps of sailing. 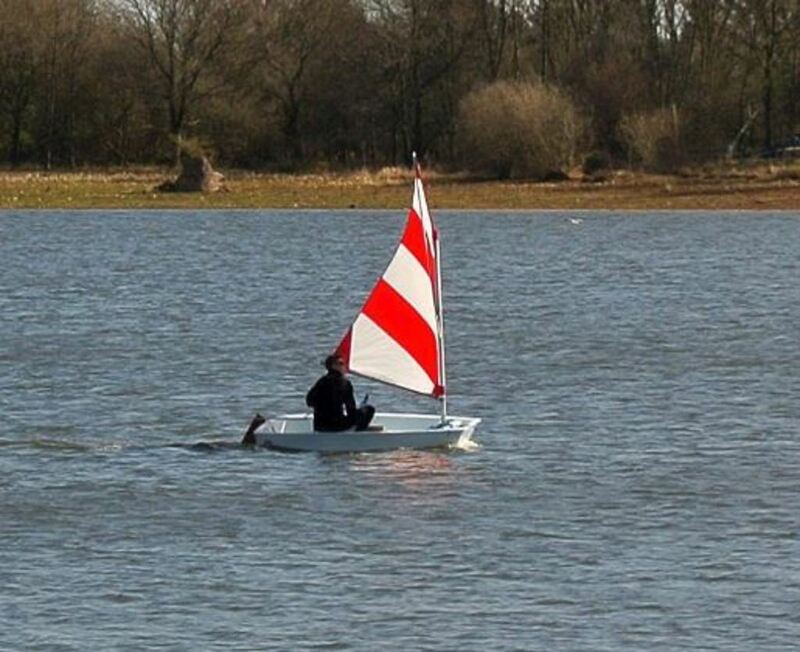 The photo, taken by Robin Brown, shows one of the new dinghies undergoing sea trails on our now nearly full lake.